Whether online retailer, internet, telecommunication or service provider. Digital invoice pickup is part of the daily life in accounting. invoicefetcher® is a cloud software that saves you time, money, nerves and organises receipts automatically. Are you tired of having to download supplier’s invoices manually from websites such as Amazon? Do you want to invest your valuable time more effectively? 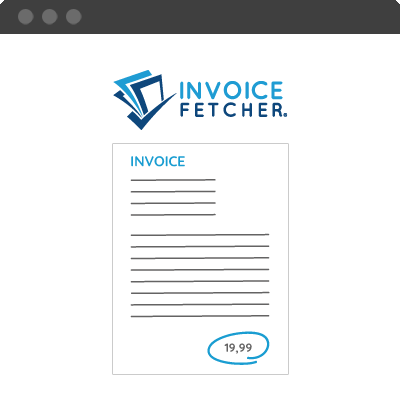 Then invoicefetcher® might be the perfect tool for you: it downloads, collects and saves your bills automatically. You can find all of your invoices there when you need to see them. Upon request, invoices can also be integrated directly into bookkeeping. This way, you can focus on your core business. If you are a businessman or businesswoman, you will be familiar with the following situation: your tax declarations are due and important bills are missing. Mostly those which were filed on web portals by carsharing companies, telecommunication companies and providers and which now have to be downloaded manually. Missing bills will cost you money - the search for them is a waste of energy and time. invoicefetcher® automatises this process: your invoices are updated regularly and saved in one place for 10 years. When was the last time you were not able to book a digital bill because it was not available anymore on the supplier’s website or the access data was not correct? Unfortunately, this problem still occurs on a daily basis. Companies, tax accountants and bookkeepers waste a lot of time and money searching for missing invoices from telecommunication and carsharing companies or energy suppliers. If you want to find all your bills at any time, updated daily and in one place, invoicefetcher® is your solution. 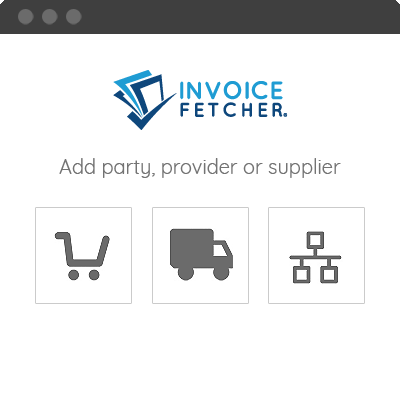 Add your party, provider or supplier to your invoicefetcher® account. invoicefetcher® collects your bills automatically and makes them available to you clearly. We love simple and brilliant solutions: from experience, we know how sole proprietors and medium-sized companies can optimise their bookkeeping processes. Our response to your needs is invoicefetcher®. Big cooperation partners work together with invoicefetcher®, among them the largest online accounting service providers. That shows how exceptional our software is and how much we contribute to digitalisation. As a client, you can profit directly from the collective expertise. With your help, however, we will get even better: You would like to add another provider to our list? 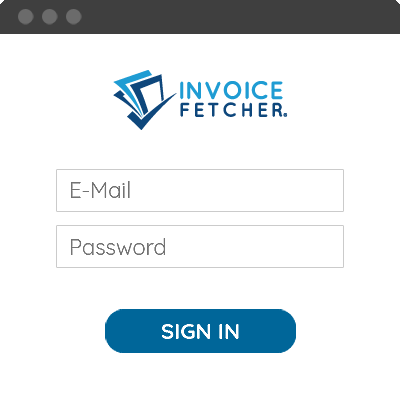 You would like to see a new feature or function in invoicefetcher®? You have an individual request? Then please do not hesitate to contact us! Our services meet all requirements of the ADV (order data processing). Our clients can count on that. Handling our clients’ data responsibly is our top priority. Data security is a top priority for us. That is why invoicefetcher® encrypts all data. We use a SSL certificate, just like banks do. Thus, the communication between your browser and our website is highly encrypted and very safe. Many clients are already using invoicefetcher® to help with their accounting. Everyone, from taxi drivers to big businessmen, appreciates our great services. Every day, more people are choosing to use our service for their benefit. What about you? We secure your data through a multilevel encryption and secure our service against unauthorised external access. Your data are saved on failsafe computers and have double security. Our cloud software is optimised for all terminal devices, which allows you to manage easy tasks on the way. You have the authority over your data. We neither trade with address data nor do we sell information to third parties. We value the security of your data.